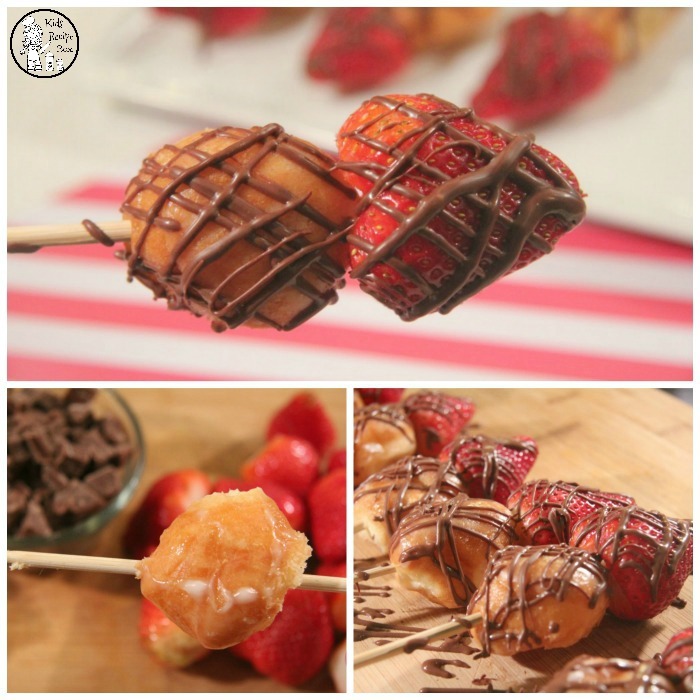 My kids and I made these easy Valentine’s Day Dessert Skewers this past week, and they were AMAZING!! It’s funny how something so simple can just hit the spot and be beautiful at the same time. 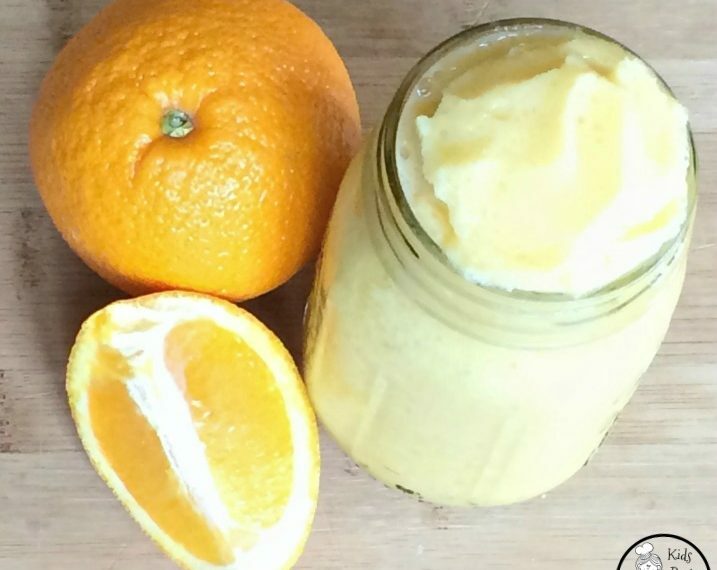 Holiday recipes are some of my favorites. I’m always on the lookout for the perfect new thing to try, and Valentine’s Day approaches. 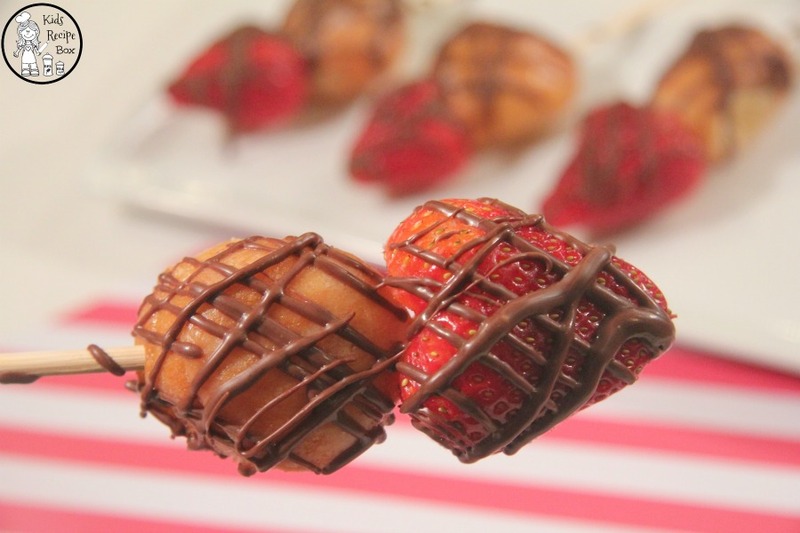 Of course when you think about Valentine’s Day food, chocolate and strawberries are two of the first things that come to mind. 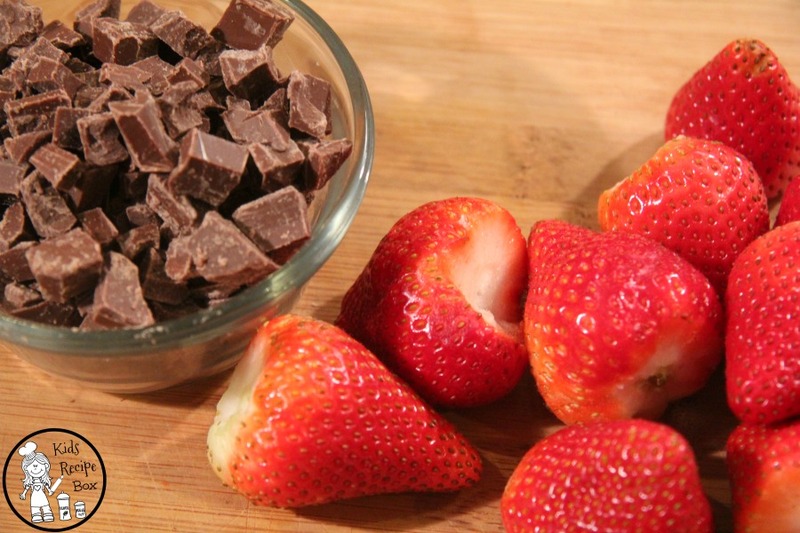 We added one other simple ingredient to the perfection that is chocolate and strawberries. Donut holes are in style all year round if you ask me, and they fit perfectly in with our project. Wash and de-stem the strawberries. Pat them dry with a paper towel or let them drip dry. 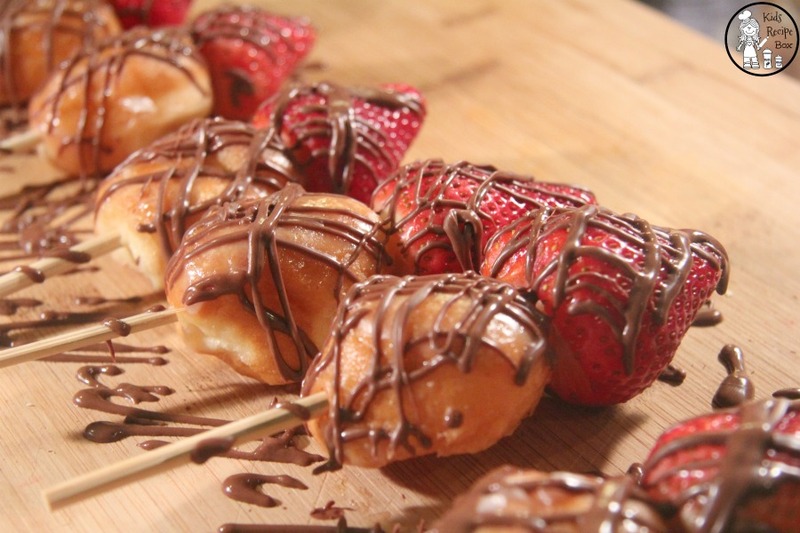 Place a donut hole on each skewer. 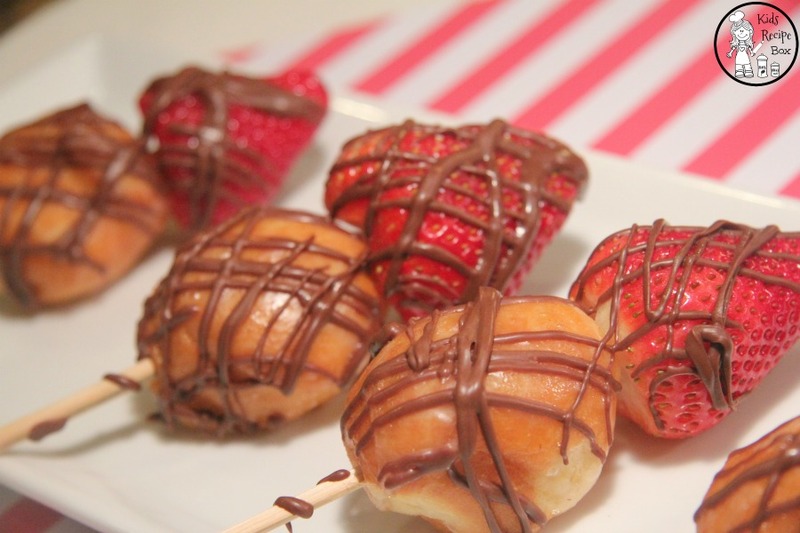 Place the strawberry on next. 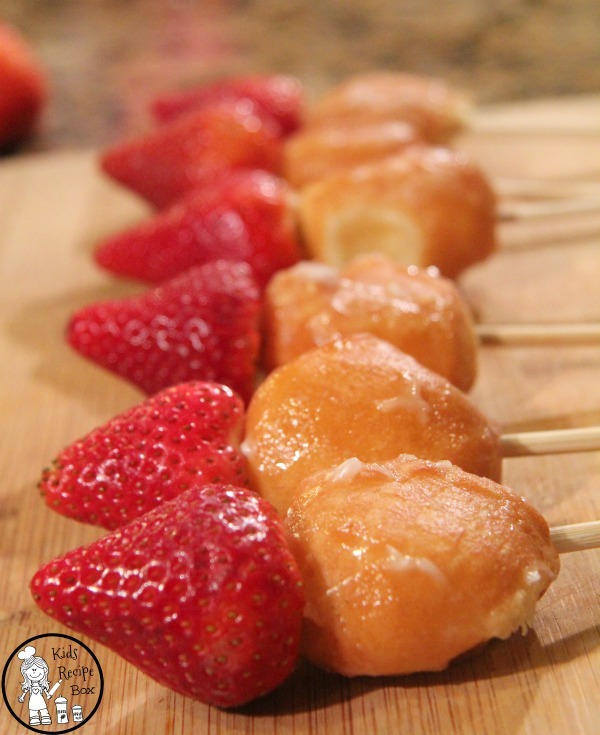 Set the skewers down on parchment paper for easy clean up. 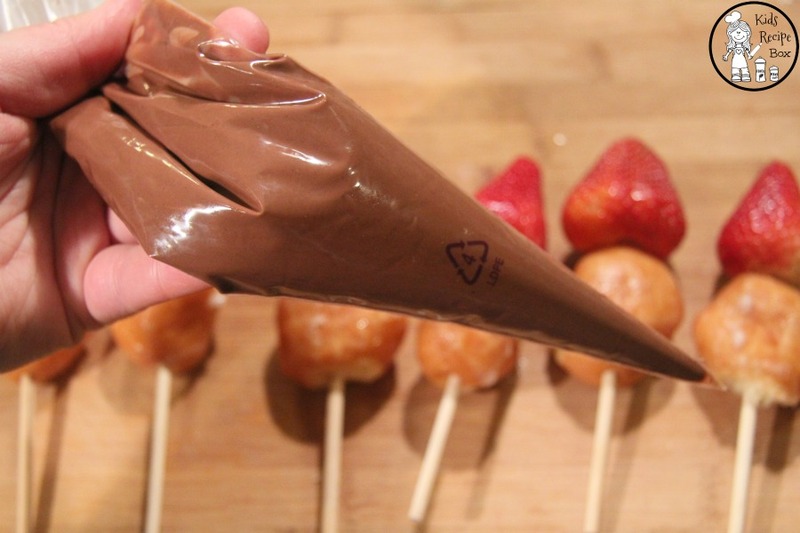 When you’ve finished all of your skewers, melt approximately 1 cup of milk chocolate, dark chocolate, or whatever chocolate makes you happy in a pastry bag. I heated mine up in the microwave for 20 seconds at a time, just until the chocolate was melted. 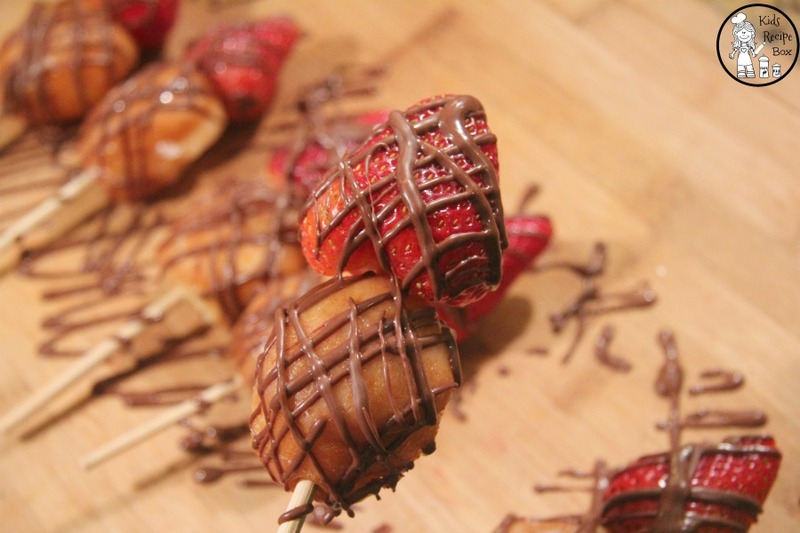 Cut the tip off of your pastry (or Ziplock) bag and drizzle the chocolate over the skewers. You can use a combination of white and dark chocolate here if you like that look and taste. We simply went with milk chocolate since that is our favorite. 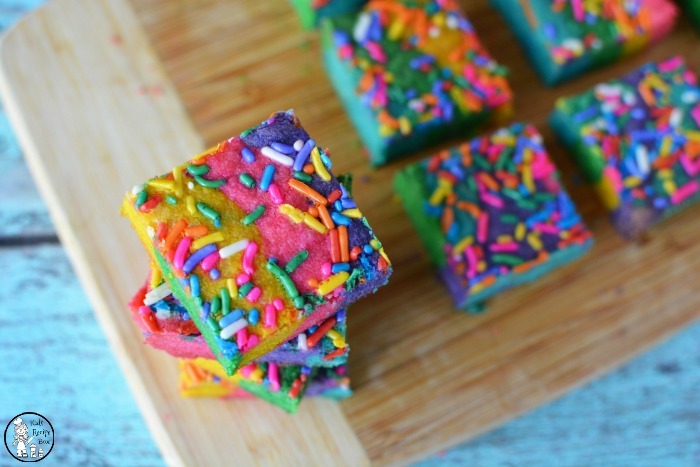 Children love helping with this project if you are not picky about the drizzle lines. If you are, give them one on a plate of their own to work with so they can create their own chocolate art next to you. 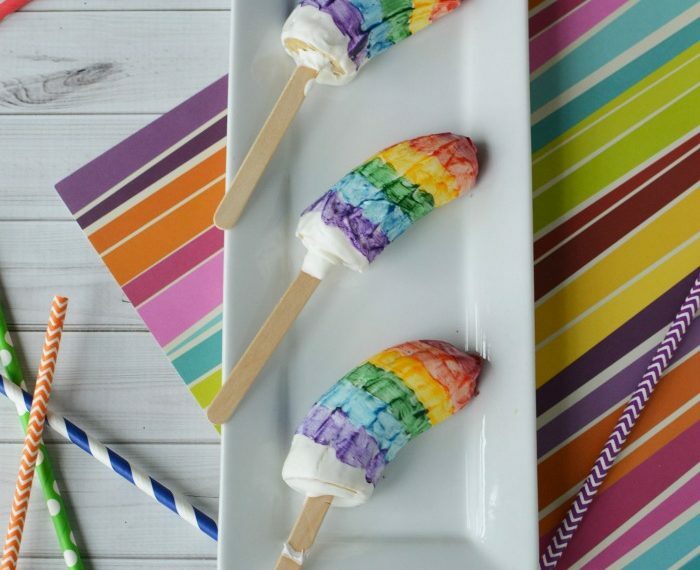 You can make these skewers as long as you like. 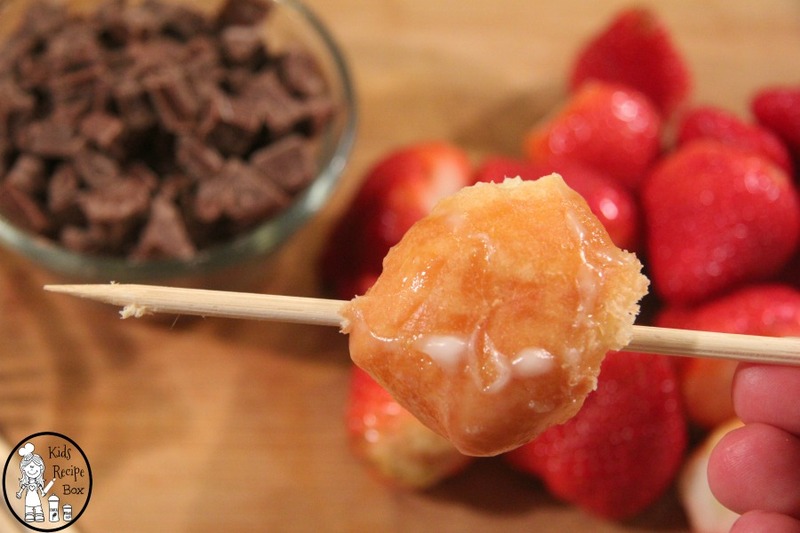 We liked the look of the single donut hole and strawberry. 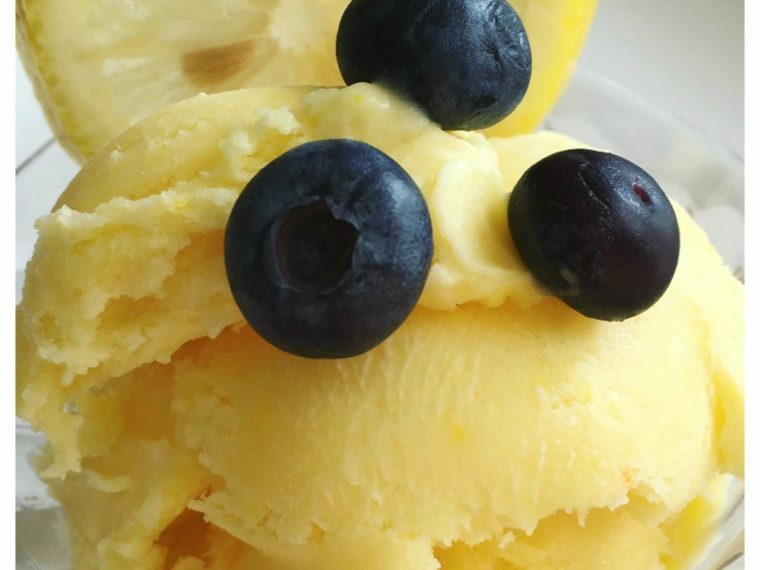 They reminded us of Cupid’s Arrows, and they are a good portion size for a simple dessert. 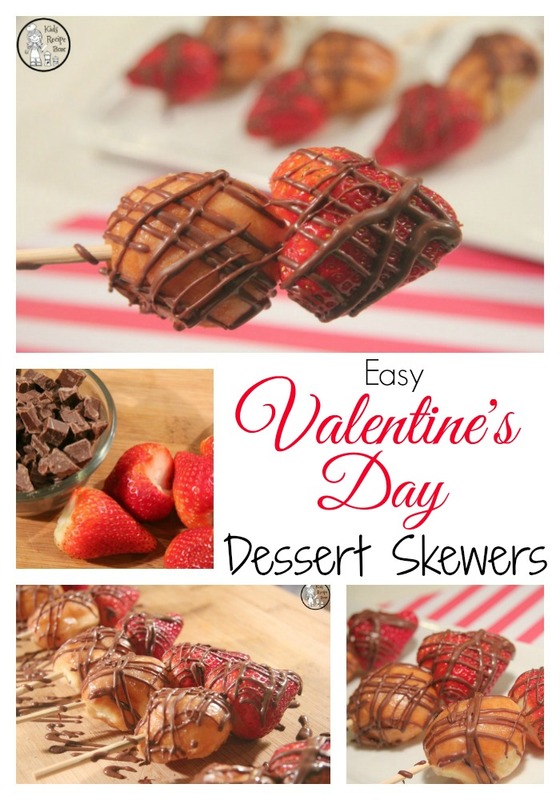 These easy Valentine’s Day dessert skewers work for dinner parties as well as parties for kids. 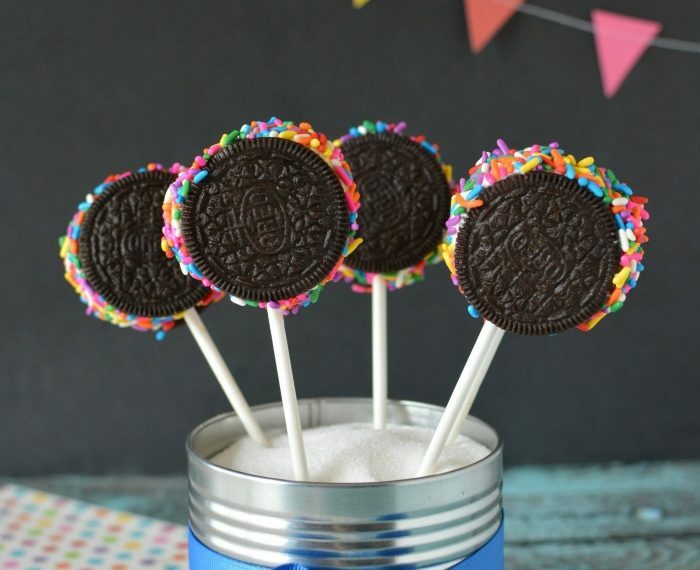 They are a crowd pleaser across the ages, and they can be fancy or covered in sprinkles depending on your audience. We hope you enjoy them, and have a happy Valentine’s Day!